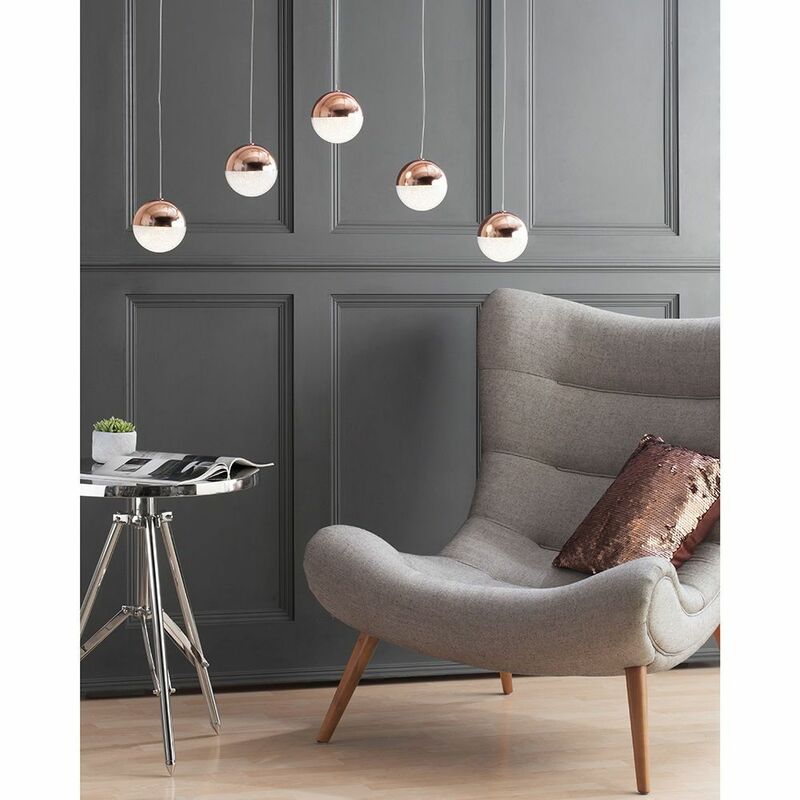 Ceiling pendant bars are some of the most beautiful and practical lights that you can bring into your home; they have a look which is beaming with modern style and contemporary elegance, and the themes combine beautifully to form a magnificent lighting piece for use within your home. 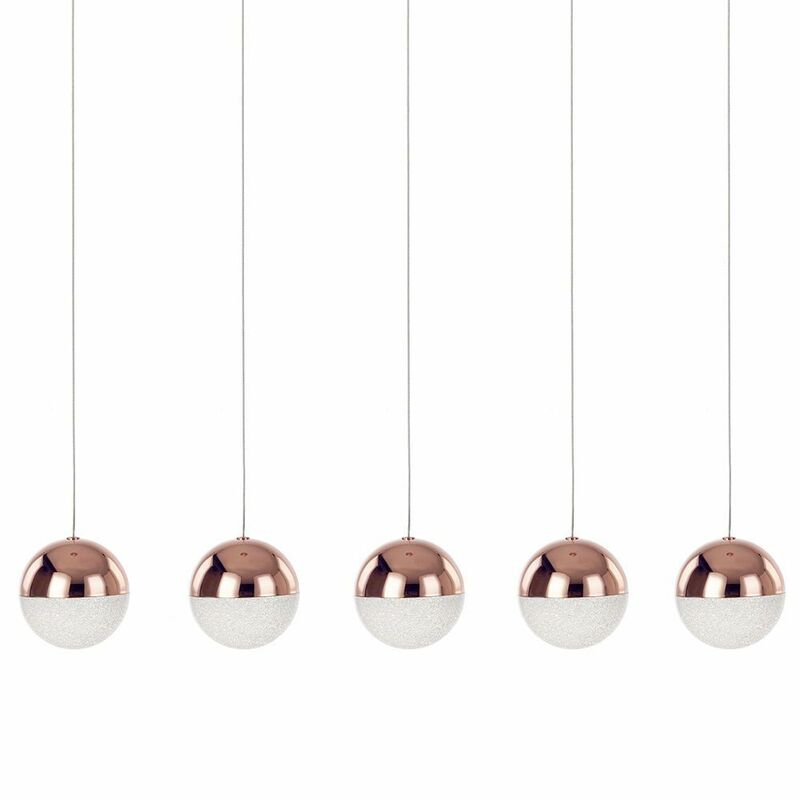 If this sounds like something that you’d like to introduce to your own home, this Corona 5 Light Ceiling Bar Pendant – Copper may be the perfect fitting for your home, as it gives a stunning look to your home, whilst also giving brilliant lighting which is extremely useful too. The structure is fairly straightforward, as there is a bar across the ceiling, and from this the 5 gorgeous lights hang down beautifully to project out across the room in magnificent fashion. Each of the individual lights has a metallic bottom half and a sparkle shade top half, giving a brilliant contrast between the modern edge of the piece and the more elegant side. The sparkle shade side is where the light shines out from, and the light passes through and gains a shimmer and shine which is then projected out across the room, giving a very soft and sophisticated atmosphere which is great for relaxing within. The piece from our Visconte range is then finished in a stunning copper effect which acts as a more unique urban twist for this fitting. The integrated LED lights used on each of the 5 lights is a brilliant feature, as it allows you to light your home for less using the fantastic energy efficiency of the technology inside. LED uses far less energy than the traditional bulb, and they are also for more durable meaning they’ll be able to light your home for less, for longer!